Yesterday we were incredibly lucky and attended a preview screening of Cloudy With A Chance Of Meatballs 2. 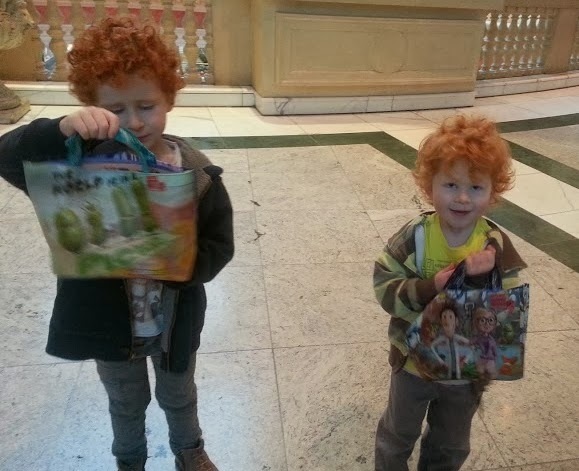 We were picked out of the hat by Mumsnet and joined a host of other families at 10am on Sunday morning at The Trafford Centre. 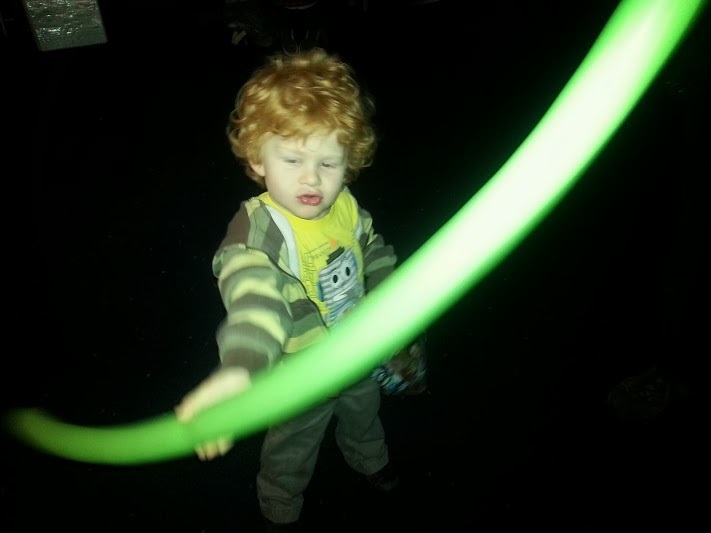 This is the sort of blurry shot I'd never usually post, but his little face! 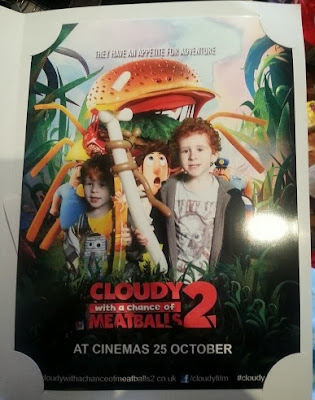 We arrived ten minutes early, but the cinema was open and the staff were handing out brunch to the children - a fantastic Cloudy With A Chance Of Meatballs 2 themed 'goodie bag' kids meal from Subway. At 10am the fun started. 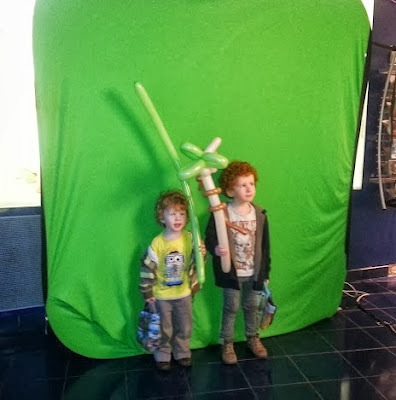 Balloon modellers, face painting and a fantastic 'green screen' photobooth where you instantly got given a printout of your photo - a brilliant momento! What's happening? The green screen really confused the boys. A brilliant souvenir of the event. 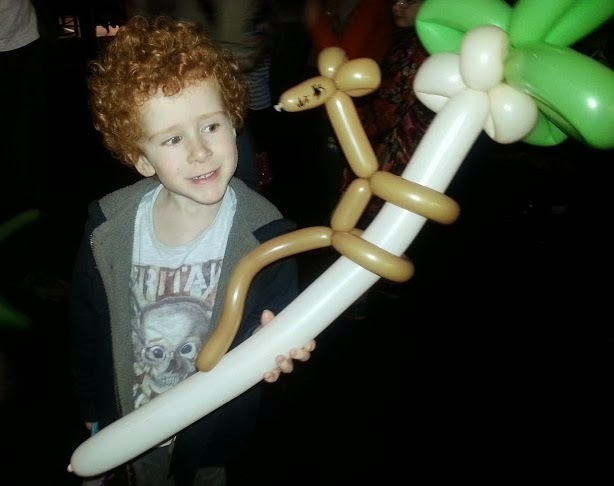 My 5 year old went for the most complicated balloon model, and my 3 year old was very specific with what he wanted, and equally happy with it! The film was good. 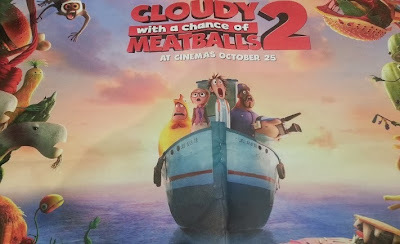 It had a very convoluted plotline and unlike the first film where we had one basic imaginary theory (food is made from water), this one made no sense, but it still worked somehow. 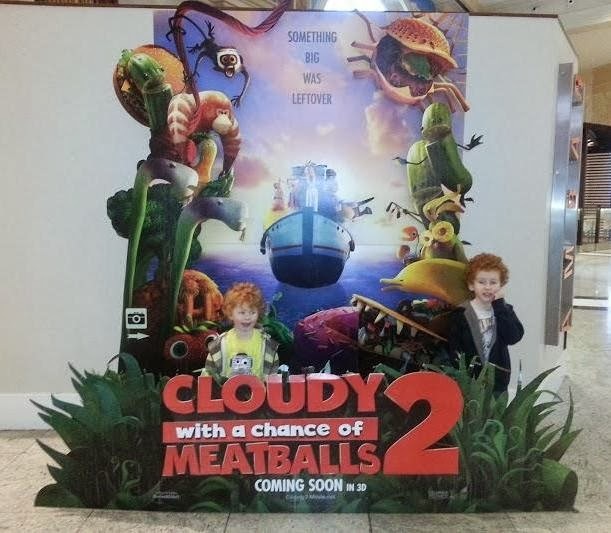 I don't have any idea how they manged to explain away the food becoming live, or in fact a host of other things in the film, but that didn't seem to matter at the time and it certainly doesn't matter to either of my boys. The characters are really likeable and not annoying at all. I can forsee a copy of this being played non-stop for a month or so, and it certainly won't annoy me as much as most films. 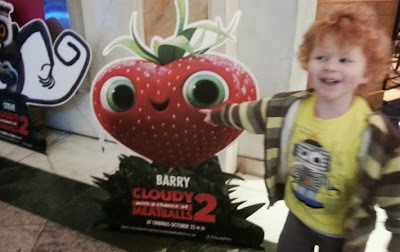 Just like the first film it was brilliantly executed, lovely to watch with masses going on in the background at all times and many side jokes for the adults in a 'Police Squad' style as well as slapstick and other jokes for everyone. We felt that actually there were possibly too many references to 'apple' and 'jobs'. Maybe we read too much into that, who can say? 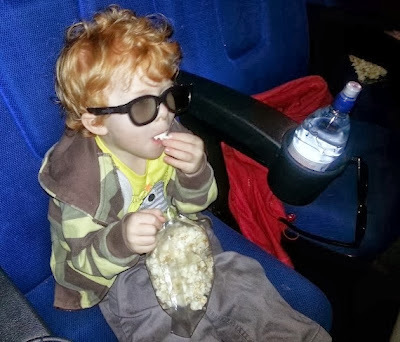 We all enjoyed it, my 5 year old especially so - he loved every minute of it. 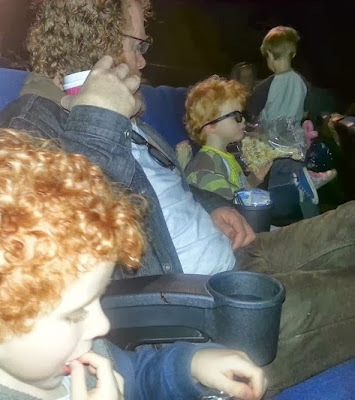 The 3 year old didn't demand the toilet once and stayed in his seat almost every second of the film, so that's a definite thumbs up from him. It had plenty to entertain the adults, although the plotline really was too tricky for small children to follow and too bizarre for adults to contemplate. 3.75/5 (it's not quite a 4). Sounds fun, I watched the trailer the other day! hadn't seen number 1 so even more confused?? oh good to know, i will record that for my kids! they went to mumsnet screening of the 2nd film too and wehave not seen the first! Glad you enjoyed it! Every time the advert comes on the TV I get moaned at to take my son! I love your pictures. to cute ! look like you all have such a great fun day out! GREAT FORTS AND HIDE OUTS CALL OR TEXT 1(810)308-9874 JULIE WILL LET GO FOR CHEEP!!!!! Rabbits like too sit on their hay aand chew oon it while they rest.